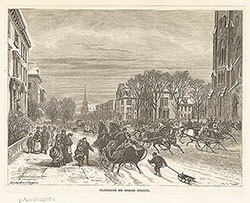 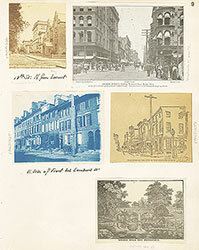 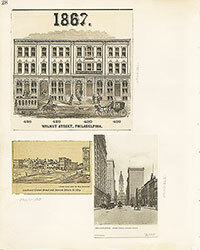 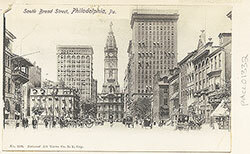 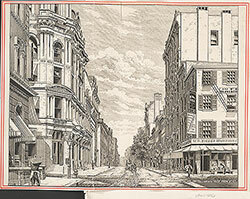 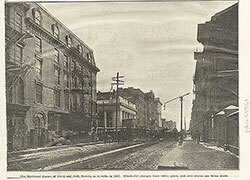 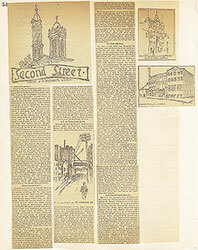 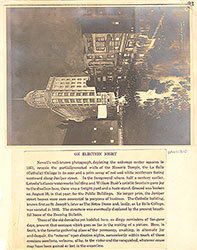 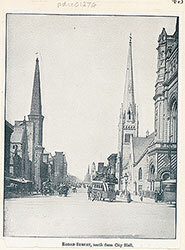 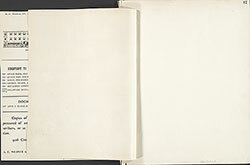 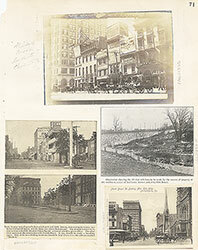 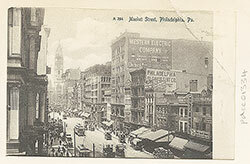 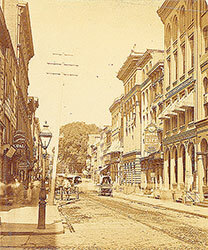 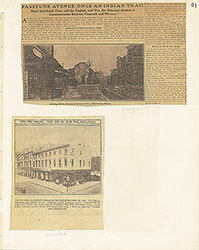 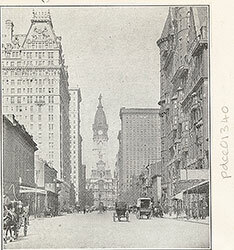 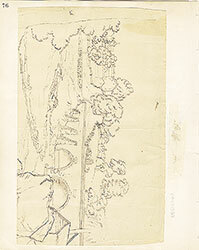 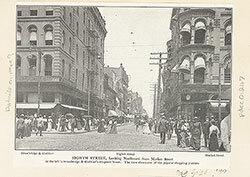 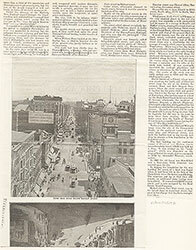 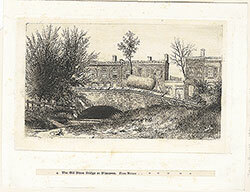 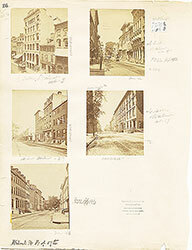 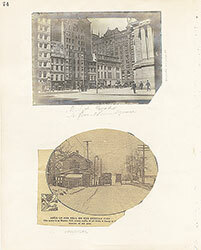 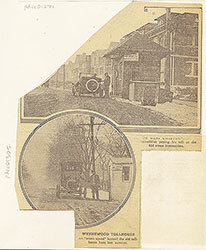 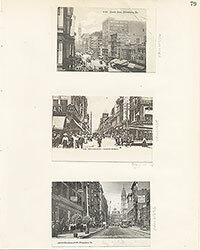 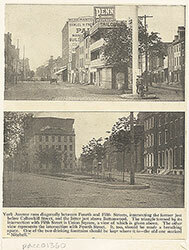 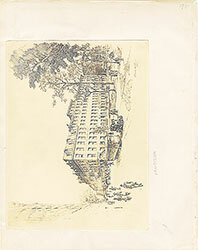 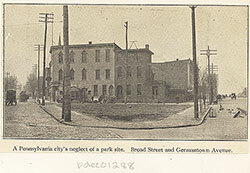 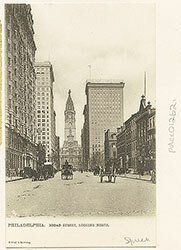 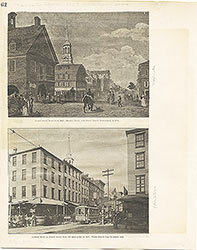 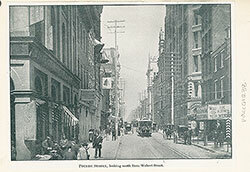 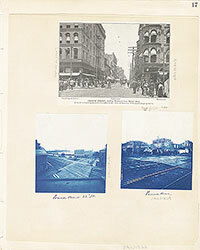 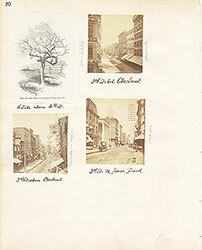 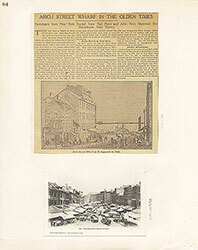 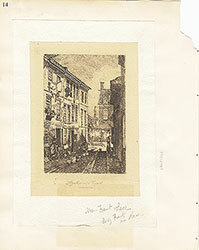 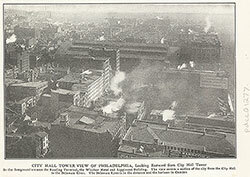 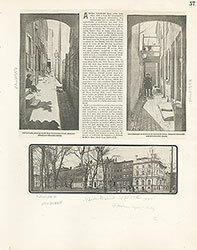 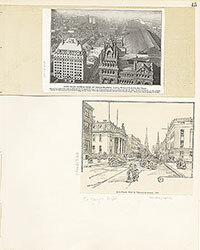 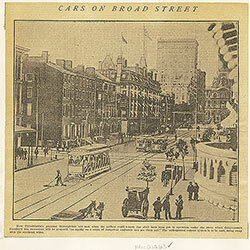 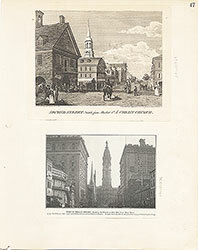 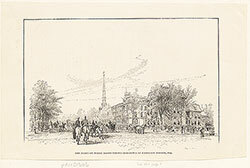 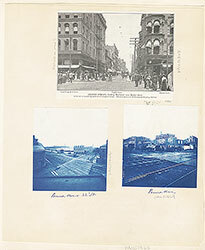 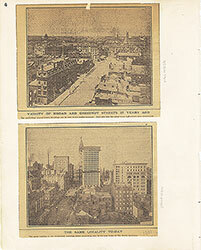 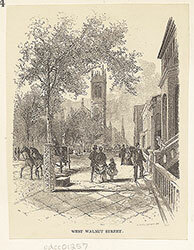 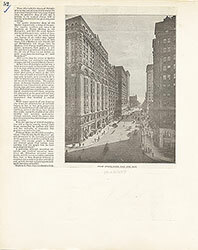 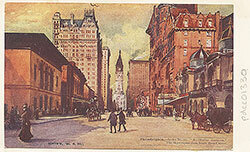 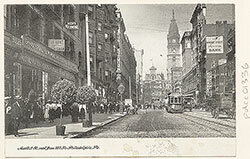 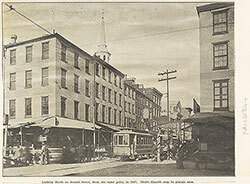 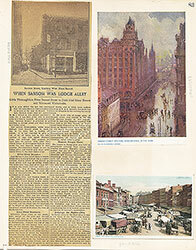 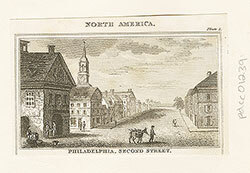 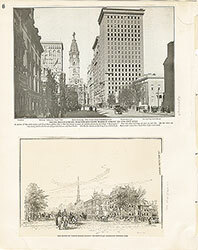 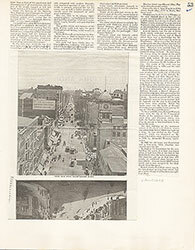 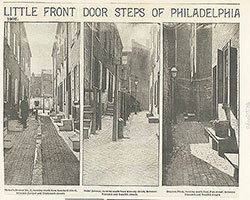 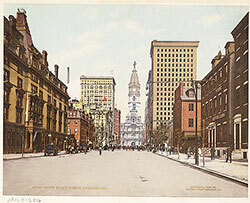 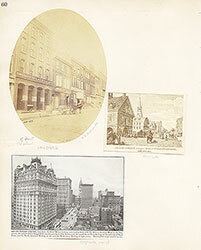 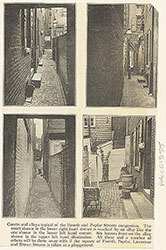 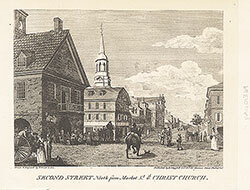 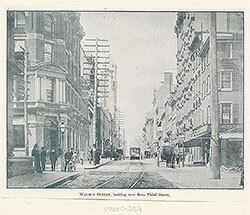 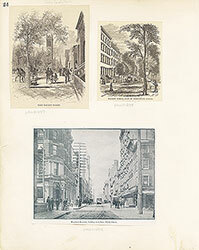 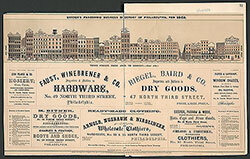 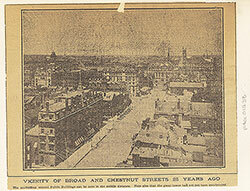 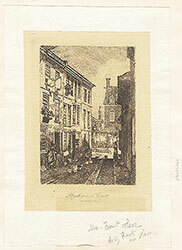 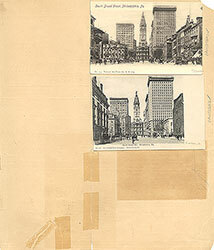 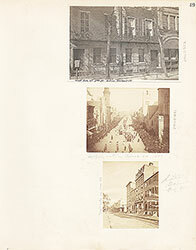 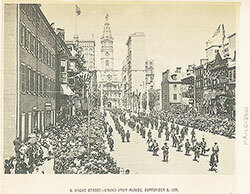 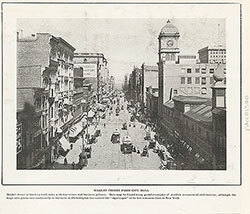 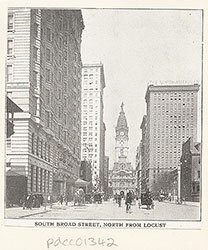 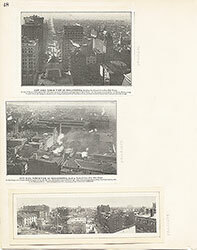 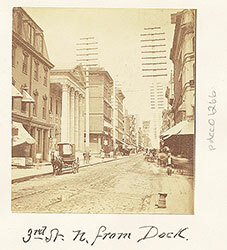 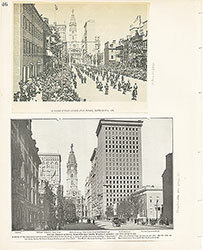 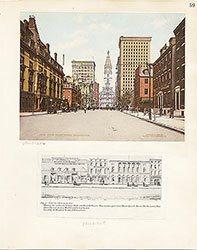 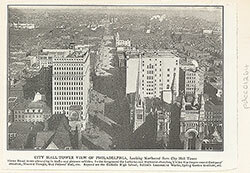 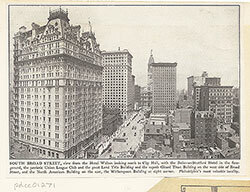 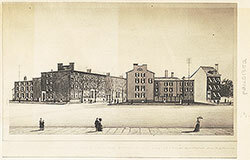 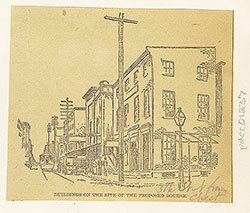 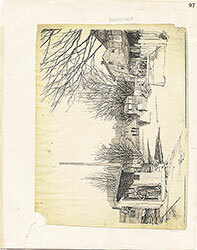 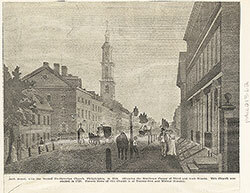 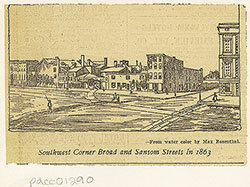 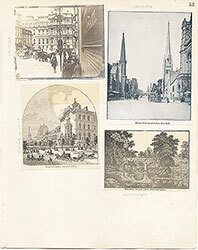 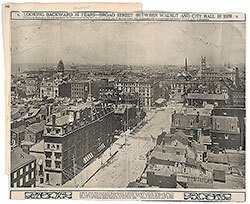 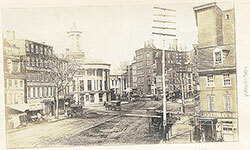 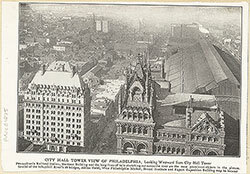 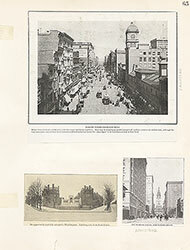 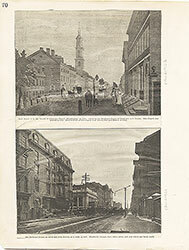 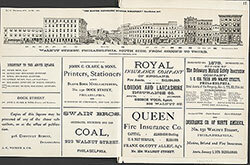 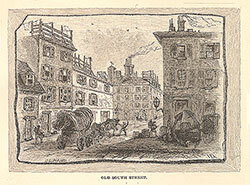 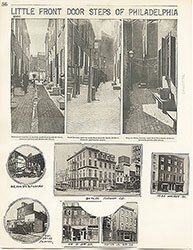 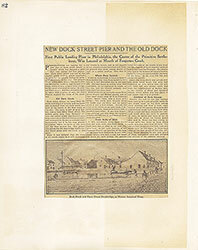 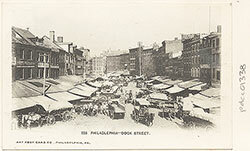 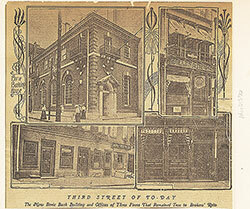 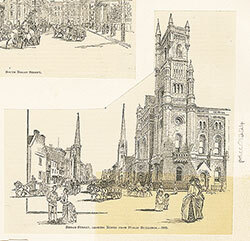 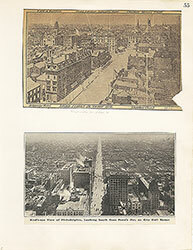 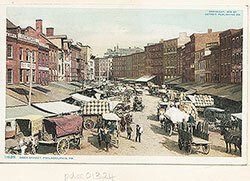 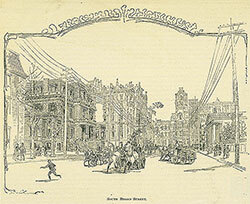 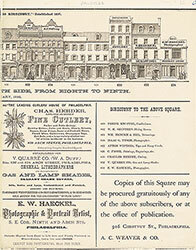 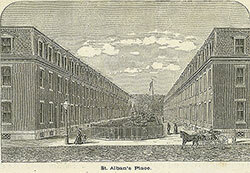 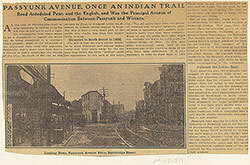 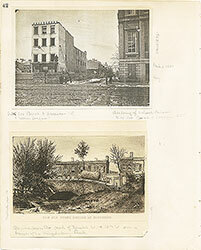 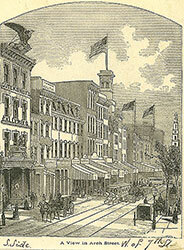 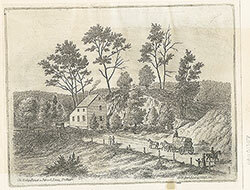 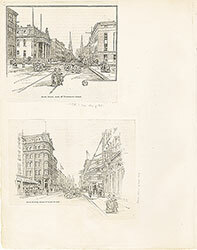 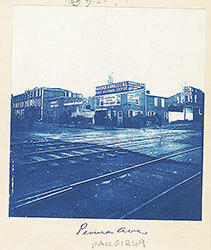 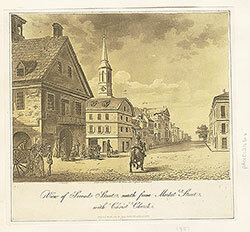 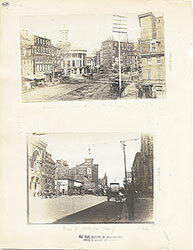 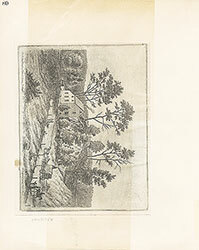 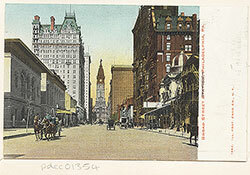 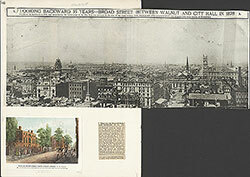 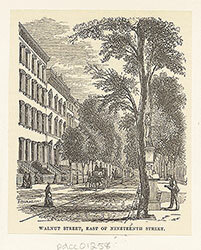 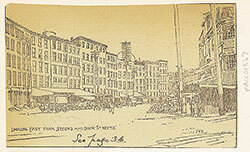 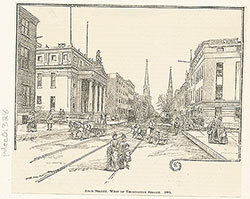 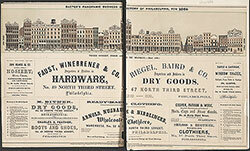 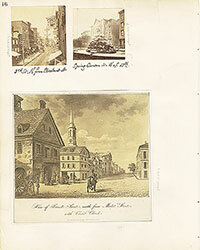 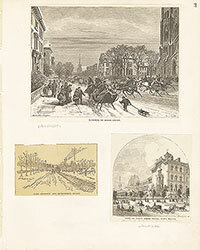 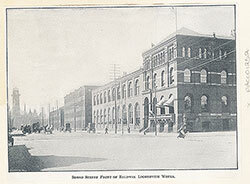 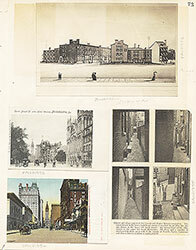 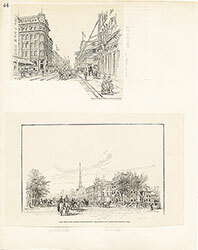 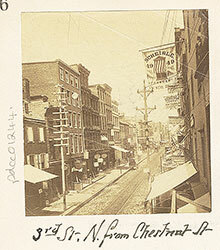 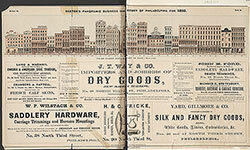 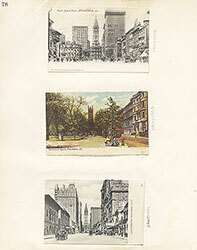 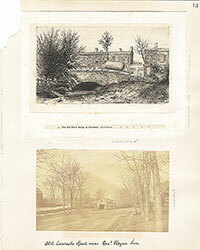 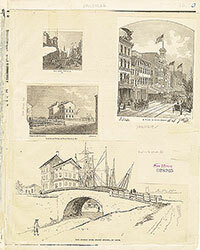 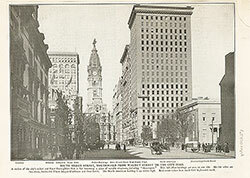 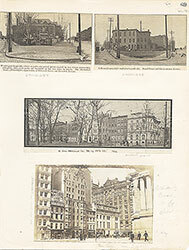 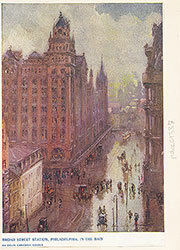 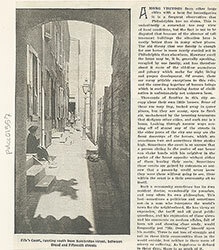 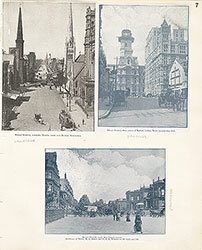 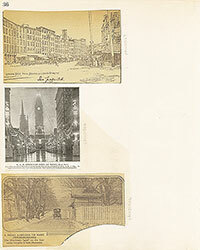 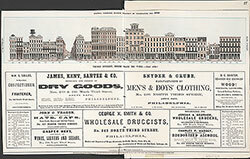 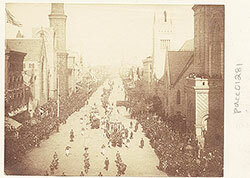 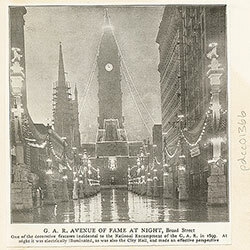 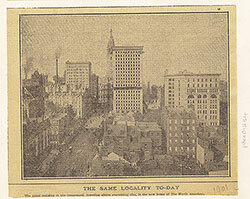 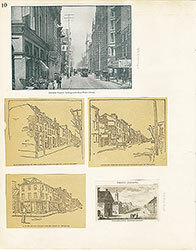 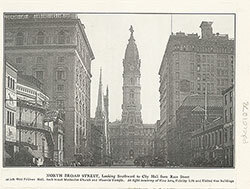 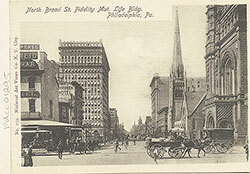 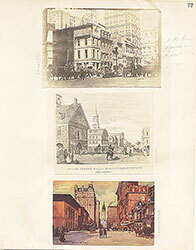 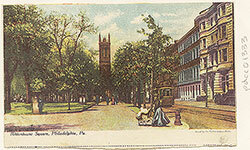 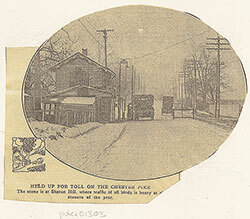 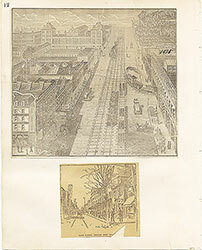 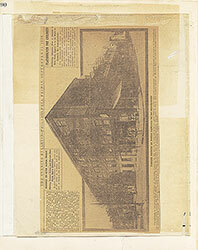 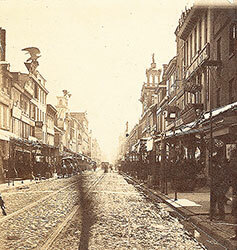 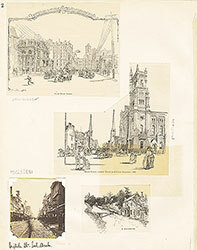 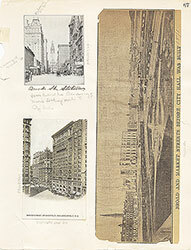 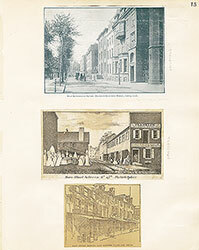 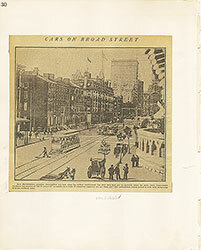 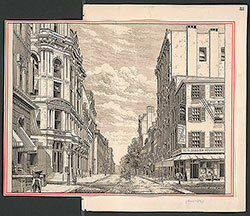 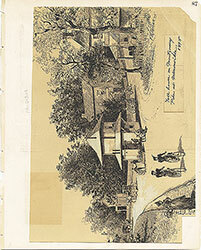 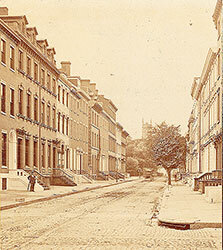 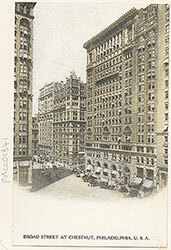 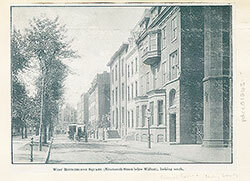 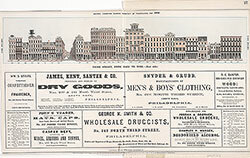 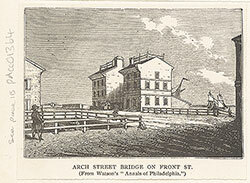 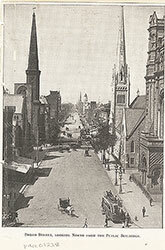 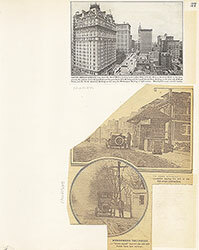 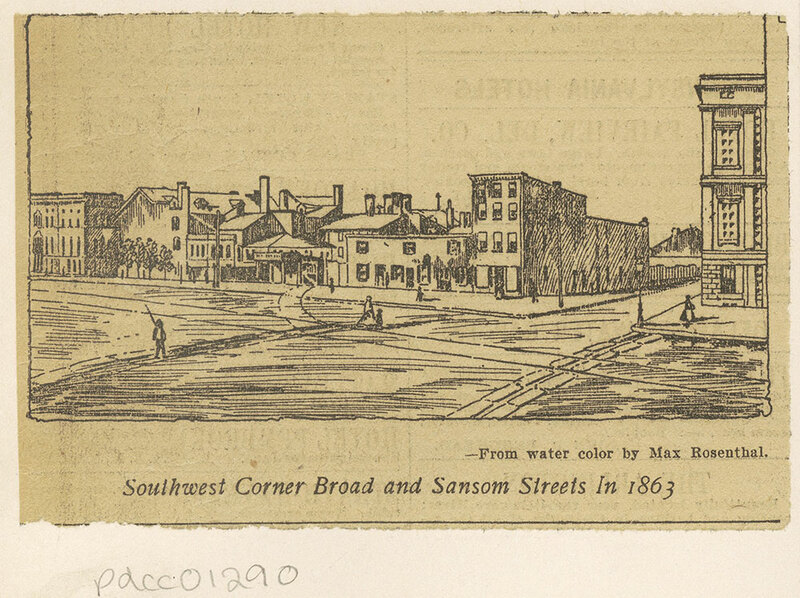 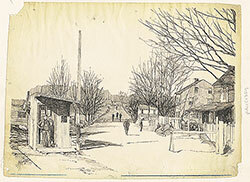 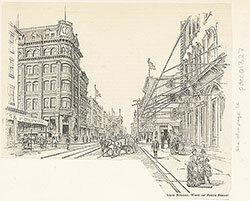 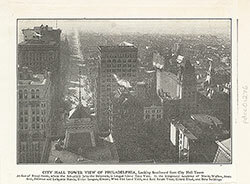 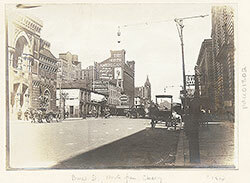 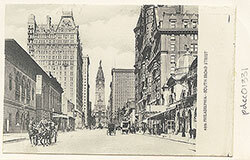 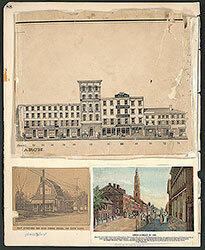 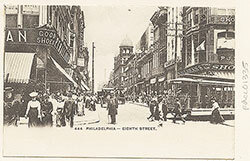 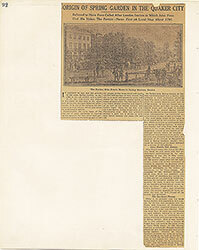 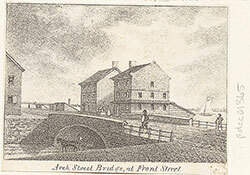 Depicts the wide expanse of Broad Street with buildings lining the west side, below Sansom Street. 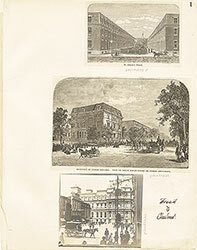 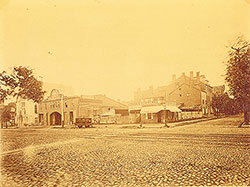 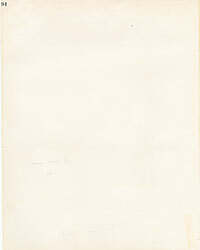 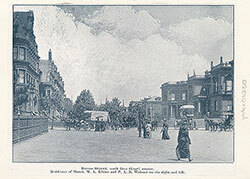 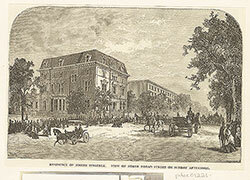 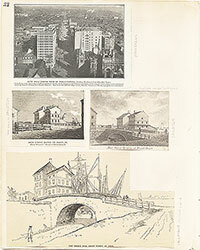 Shows a partial view of the Academy of Natural Sciences on the extreme right. 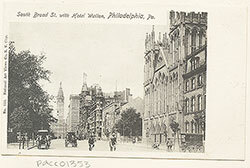 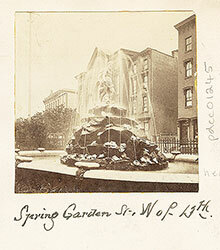 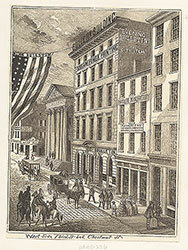 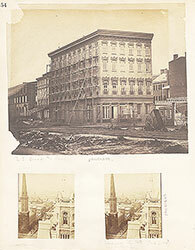 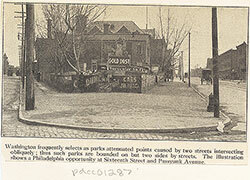 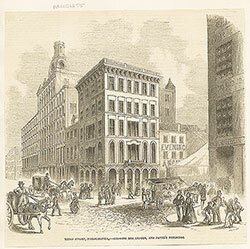 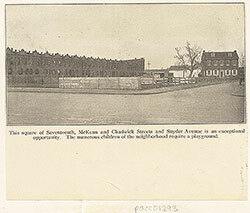 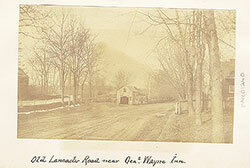 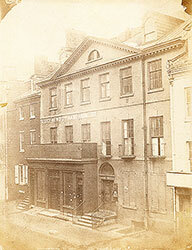 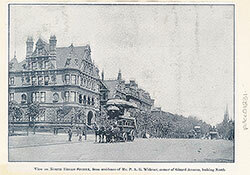 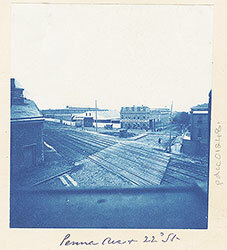 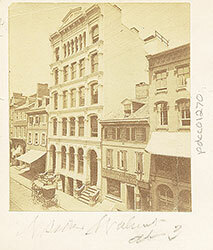 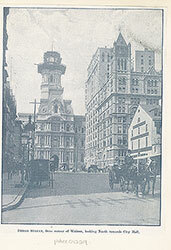 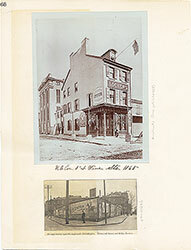 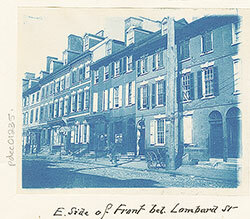 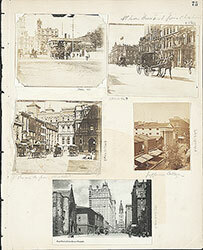 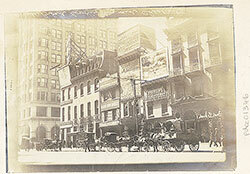 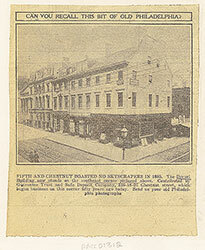 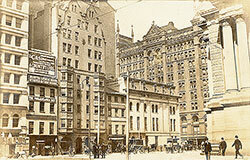 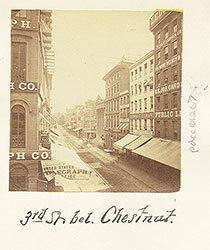 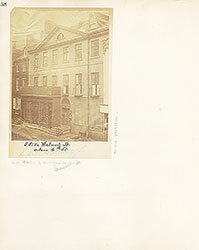 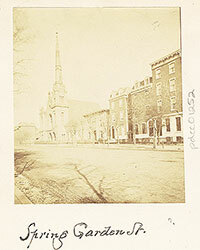 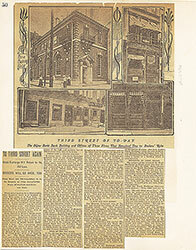 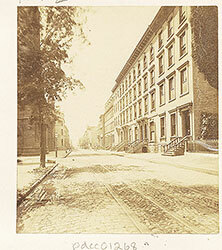 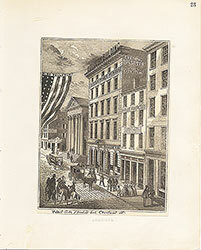 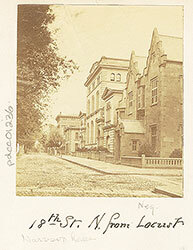 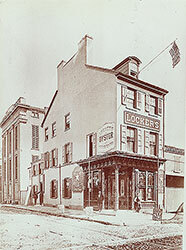 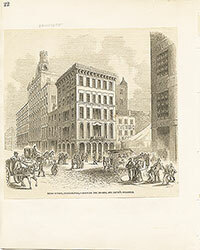 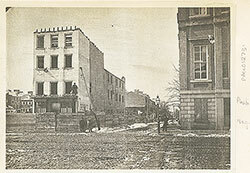 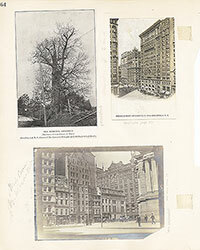 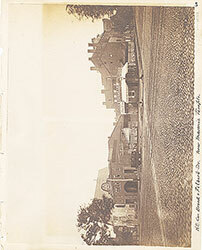 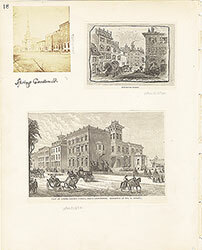 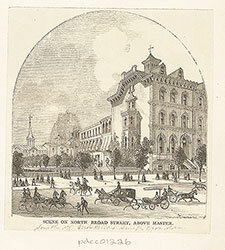 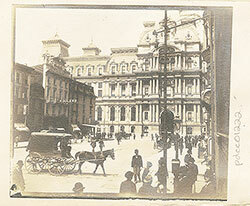 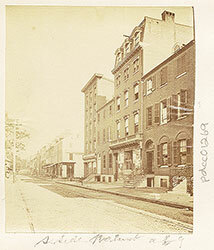 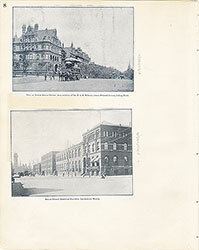 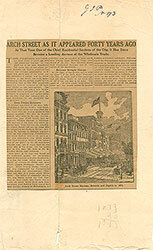 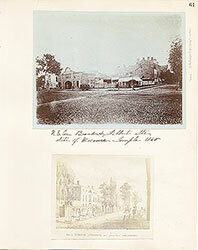 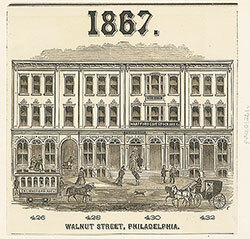 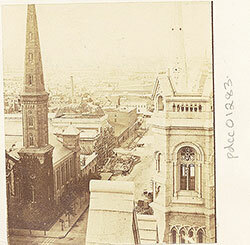 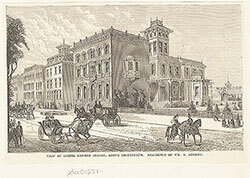 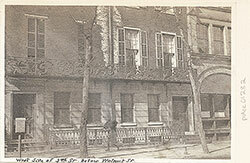 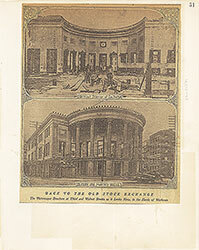 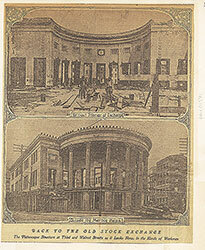 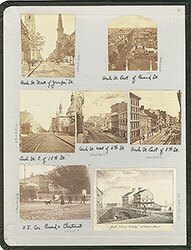 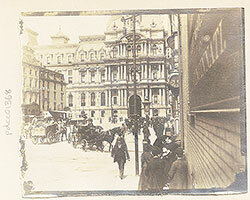 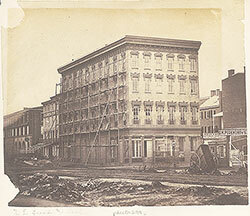 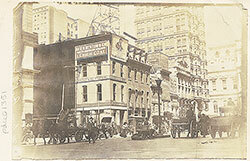 Across Sansom is the site of the Union League Clubhouse which was built 1864-65. 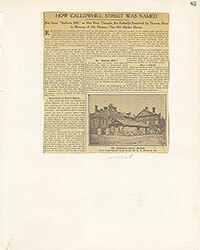 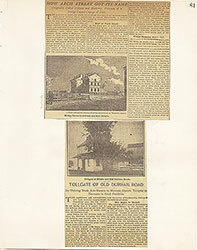 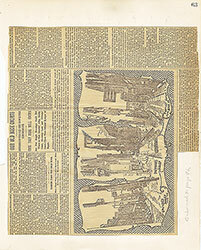 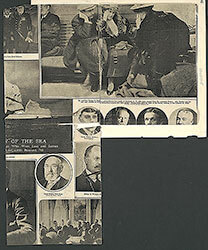 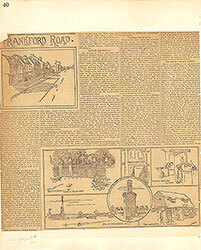 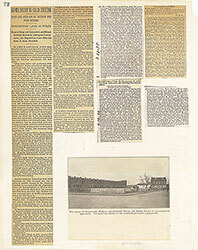 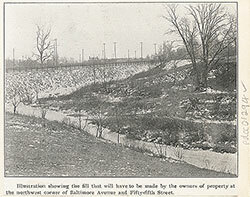 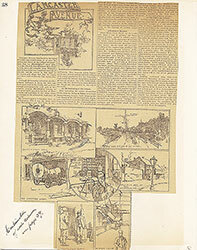 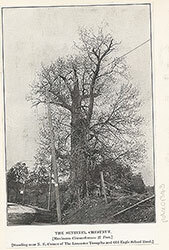 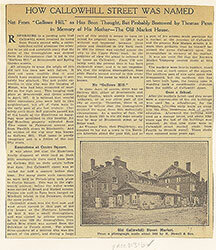 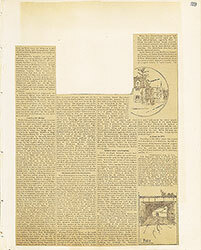 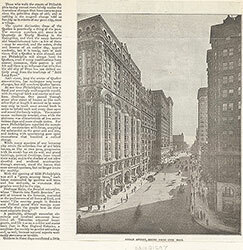 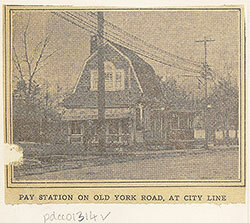 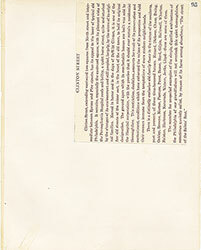 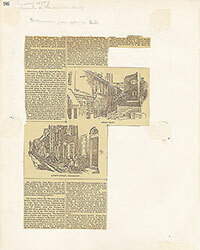 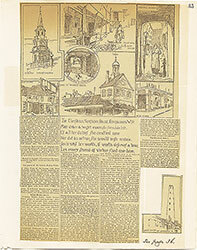 Clipping from an unidentifiied newspaper.